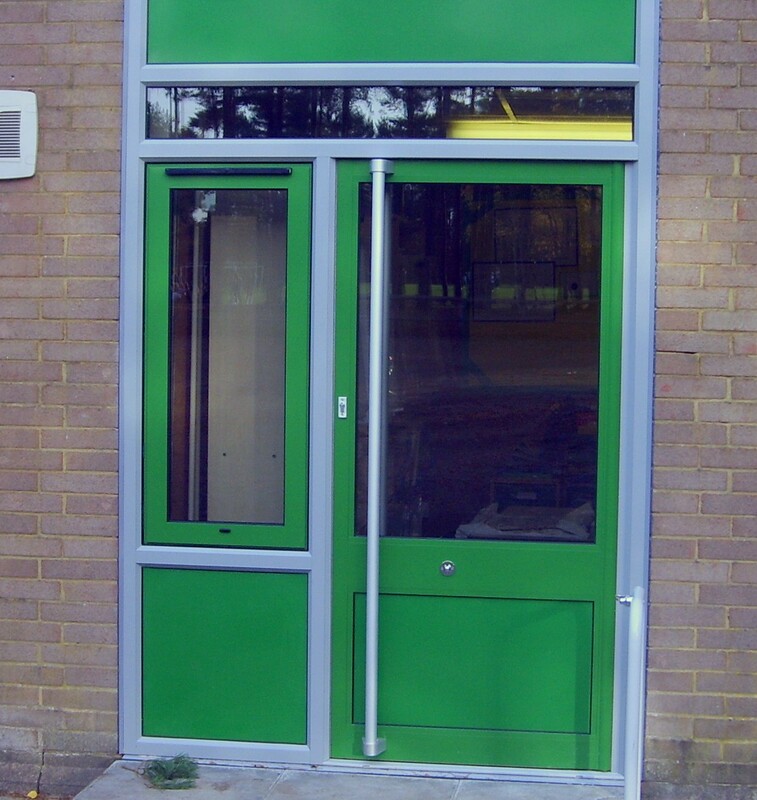 Our commercial aluminium pivot doors are versatile high performance doors which provide high levels of heat retention and draft proofing as well as excellent security features including a superior locking system. The door is designed with an overhead concealed closer for a tidy aesthetic look, and offers an optional hold open feature. With safety in mind, anti-finger trap style pivot closing has been incorporated into the design. 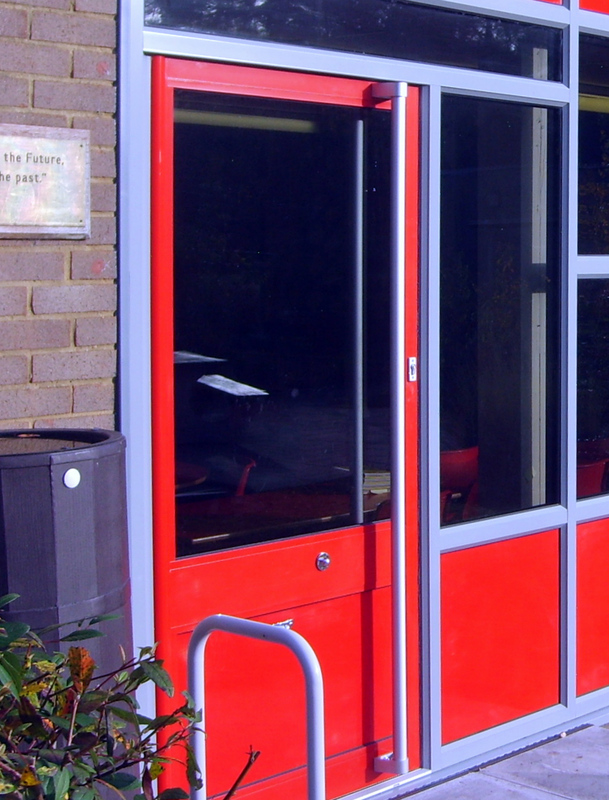 For easy wheelchair access, the door system is also designed with a low ramped threshold. 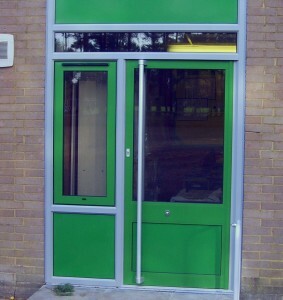 This is a bespoke product that can be adapted depending on the application desired. 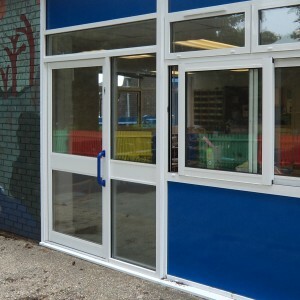 Uses range from standard push open shop front doors to secure robust entrance doors for schools complete with video and voice communication and remote electric release locking system, all colour matched to the school’s colour theme. Commercial pivot doors are also internally beaded for added security and can be alarmed. 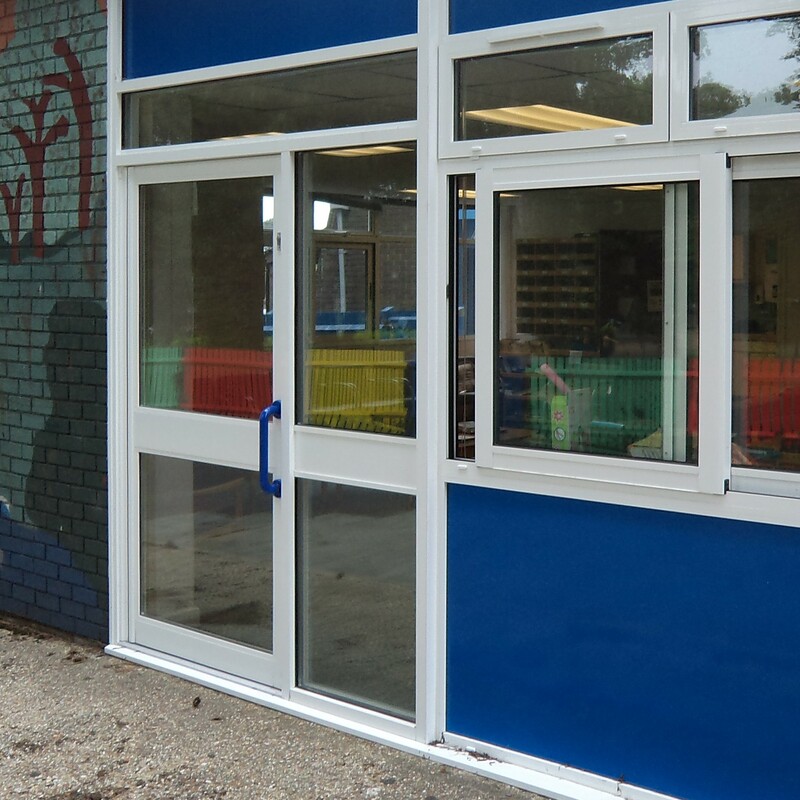 With slim sight lines, they are aestheically pleasing and as with all our aluminium products are low in maintenance. 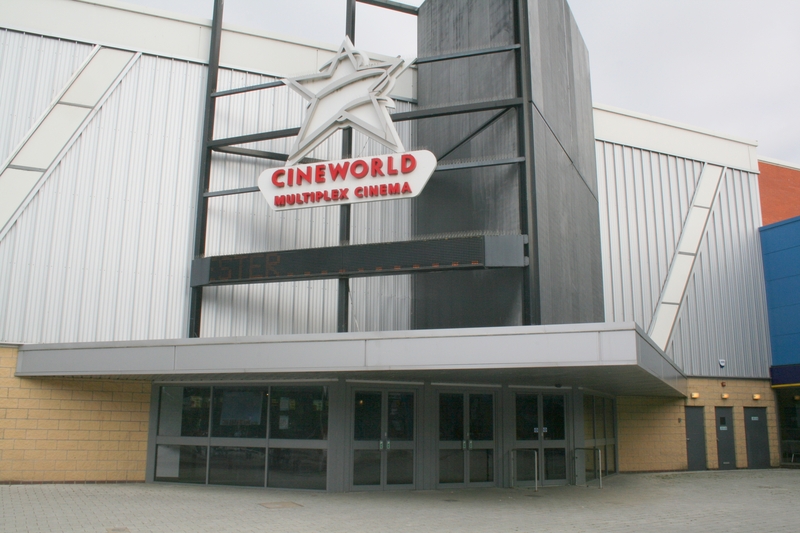 They are supplied in white as standard but can be powder coated in any standard RAL colour to meet your specific design requirements. 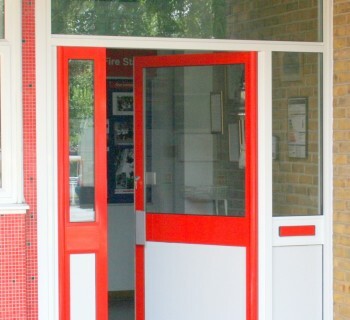 High energy efficiency sealed glass units are available in a large number of styles and can be tailored to your needs. 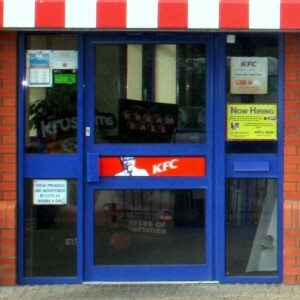 A commercial door system is designed to be very versatile available with different locking and handle arrangements. Options can be discussed at time of order.